Wes Edenstrom passed away after being placed on hospice care shortly after Christmas, he was 89 years old. Wes was born in Morehead, Minnesota and later moved to San Francisco, California where he graduated from Mission High School in 1947. In 1950, he married Francis Lucido and they remained married until her death in 1992. Children withFrancisinclude: Dennis Edenstrom, deceased (Cindy) Dale Edenstrom, deceased (Donna) Penny Edenstrom (Cedric) David Edenstrom. Wes served in the U.S. Army from Feb. 1951 to Nov. 1952 during the Korean War. In 1994, Wes married Leanora Hutcheson and remained married until her death in 2016. Step children with Lenora include: Jeffrey Hutcheson (Ann) and Leanna Repetto (Mike). Wes is survived by 11 grandchildren and 15 great-grandchildren that he adored. Aniron worker for 32 years from 1960 - 1992 primarily with C.E. Toland and Son of Benicia, he was very proud of the long history of ironworkers, especially in S.F. An avid and accomplished bowler, he had bowled near perfect games on more than one occasion. 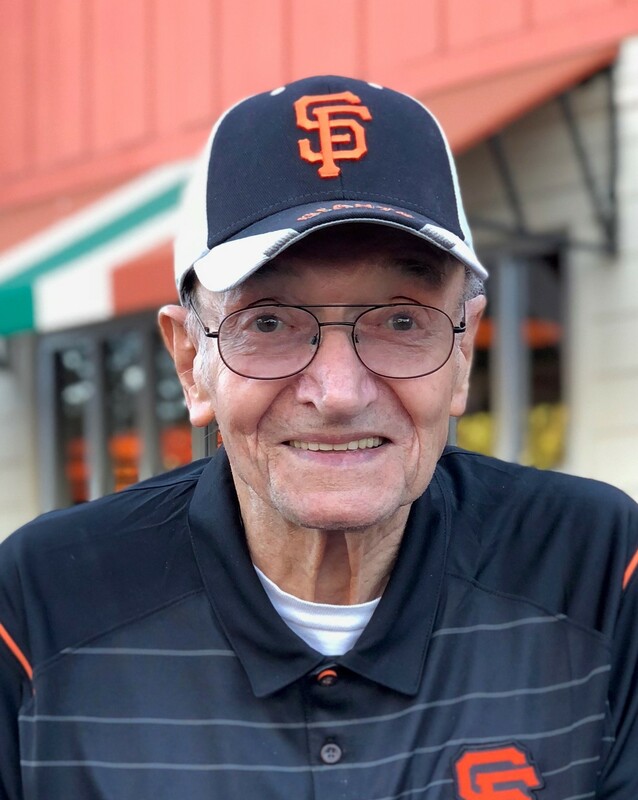 Wes loved baseball, loved playing it when young, loved coaching it later and most recently loved being the best SF Giants fan that ever lived. Friends and family are invited to a memorial service at Higgins Mortuary, 1310 A St., Antioch, CA, on Mon. Feb. 11th at 11 AM. SF Giants colors or clothing are encouraged. In lieu of flowers, donations to the SF Giants community fund would be appreciated.